I offer a wide variety of services. 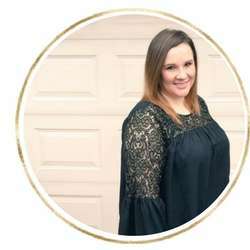 My background as a blogger and previously, an executive assistant has given me a unique view and understanding of what it takes to run a truly successful blog or business. I understand that there are daily tasks that are imperative to you and your business-but they can be time consuming. Whether you hate creating images for Pinterest or can’t seem to remember to post your latest product offering on Twitter daily, I’m here to help. Not sure what you need? Sign up below to book a consultation today. Social Media Management: manage and post to your social media outlets, content creation and curation, comment moderation and more! Pinterest Management: My most popular service by far! Pinterest isn’t a social media platform. It’s a search engine! Knowing how to properly manage and leverage Pinterest for your blog or business is essential to your success. Blog Management: content creation, post editing, SEO optimization, image creation, and more! Blog Coaching: as an experienced blogger and influencer, I’m here to help you! Etsy/Shopify Management: New product uploads, moderate current products, sales reports, etc. Have another project in mind not listed above – simply fill out the form below or book a 15 minute consultation and I will be in touch within 24 hours!